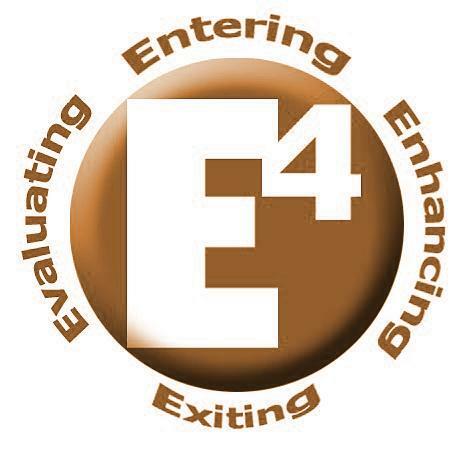 Cochran Consulting: Specializing in our E4 System! Specializing in our E4 System! Our consulting firm is a middle market Mergers and Acquisitions Firm specializing in Businesses from $500,000 to $50,000,000 in assets. We serve Entrepreneurs by facilitating the 4 stages of Business Ownership: Entering, Evaluating, Enhancing, and Exiting. Whether you are our Entering or Exiting Client, we have a fiduciary duty to you, your family and your business. Each step of your business ownership cycle is important. However, the balance that comes from the un-compromised coordination of all four steps can bring you success. Whether your goal is financial independence when you Exit your business or expanding business with profits, this is what we do best. Earn more, keep more, we will help you explore your options in all phases of business ownership. Cochran Consulting in Riverside is a business consulting firm specializing in Enhancing business and personal wealth. Our firm's focus is on creating the right system and culture so your financial goals are met and your future is secure. It is no secret that building wealth is the best way to ensure your needs and the needs of your family. The most effective way to build wealth is through smart planning and managing your Exit Strategy. The PBC management team at Cochran Consulting has a wealth of experience, as well as the resources to make sure your business and financial portfolio grow in the manner you want and need. You can rely on us to provide you with superior Exit planning, as we are vested in securing your future. Free consultations and Business Enhancement Score are available. "Dr. Cochran has helped us for nearly a decade. We feel very lucky that our son steered us to Cochran Consulting, as we were able to do an early Exit and retire." - Amy & Thom D.
"I learned more about managing my business and money from the team at Cochran Consulting than I could have expected. Today, I am much more confident about my future."